It arrived Wednesday in Massena, New York. 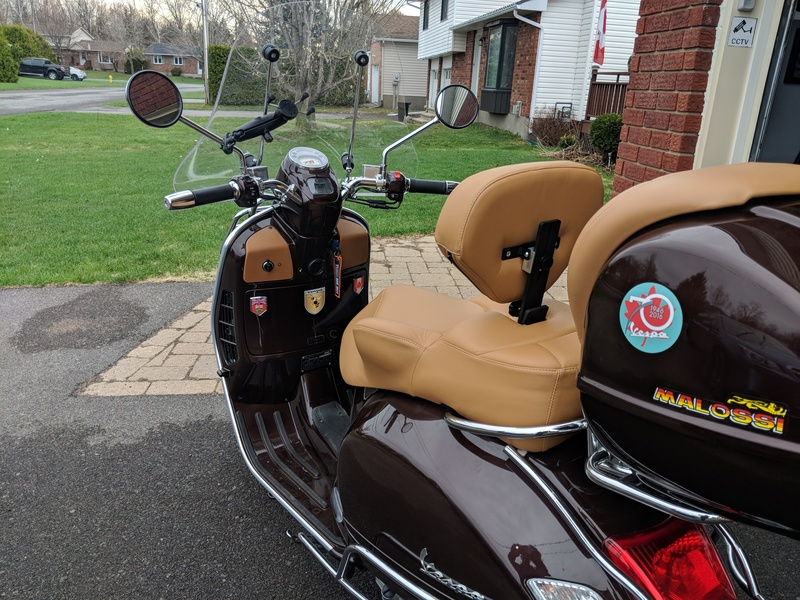 The long-awaited seat for my Vespa GTV-300. 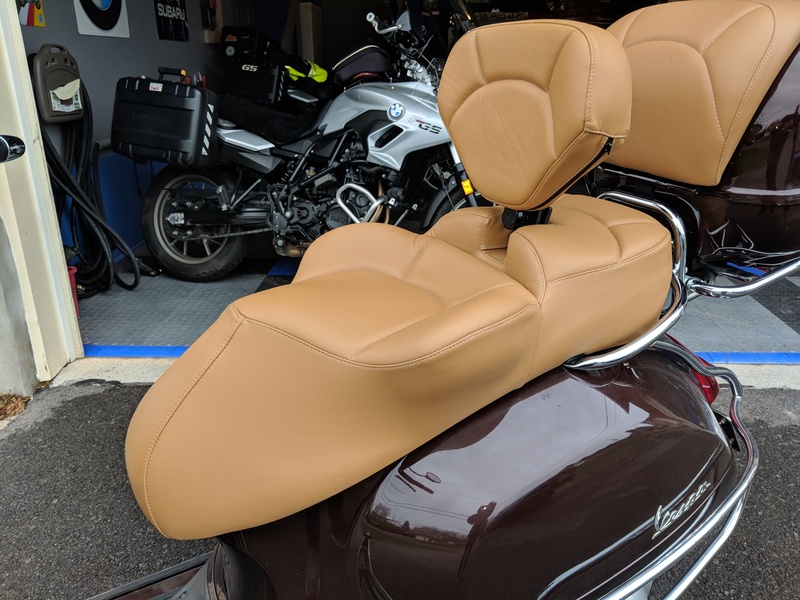 If you remember I ordered one for the BMW F700GS and it instantly became my favorite most comfortable seat ever! 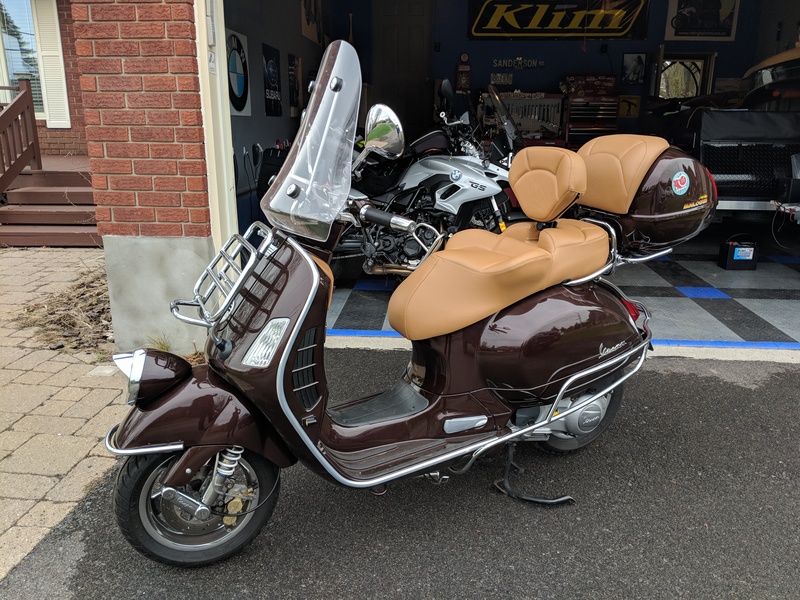 My only regret with the Beamer is that I did not order the back rest so I did not make that mistake with the Vespa. I picked it up yesterday and since I have a degree in paying HST at the border I skipped in with a smile on my face and unloaded $ 142.00 to the tax-man. 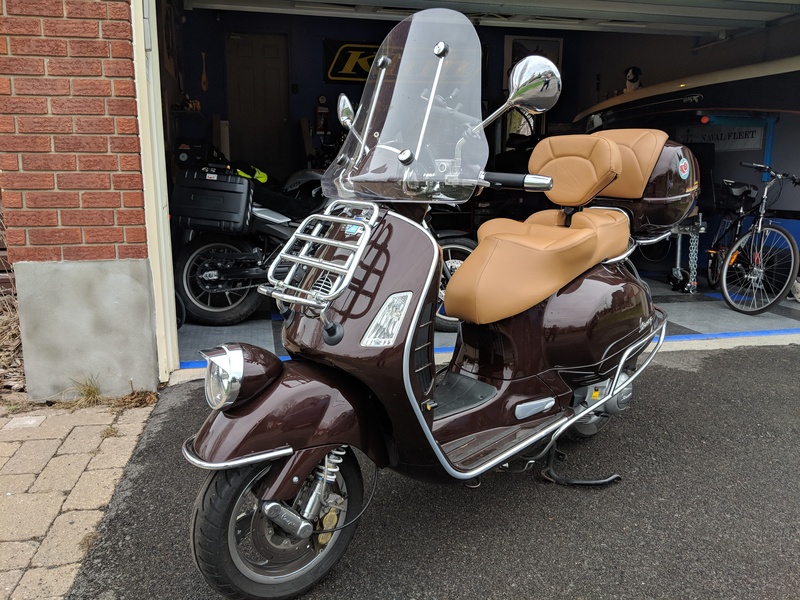 But here she is and this morning I installed her and the back rest onto the Vespa GTV-300. Now for the seat. I ordered a classic beautiful leather to match my espresso brown and the kick plates. Yes, the leather was extra and how could I possibly say “NO” because after all, SHE’S A VESPA! The back rest is fully adjustable in two directions, up and down and backwards and forwards. The back rest also can slide out if riding two-up. Can’t wait to sit on that GTV! I have long wanted a custom seat, with a backrest if possible. I have looked for years, everywhere, for a really nice custom seat, and never found one. 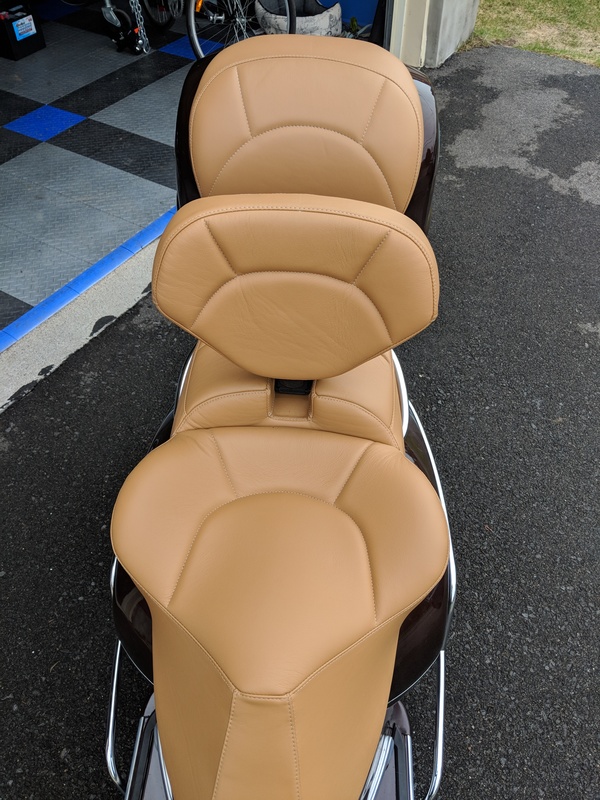 There are custom seats galore for motorcycles, but few quality ones for scooters. I can’t tell you how glad I am you published this blog tell everyone about your purchase. I shall definitely be ordering the identical seat. By the way, Peter, I hope you do the 2019 Cannonball Run. Details of the 2019 Cannonball Run have not yet been announced, but I may be tempted to do the trip myself. Would be an added incentive to do the Run if you were doing it as well. It’d be a blast!